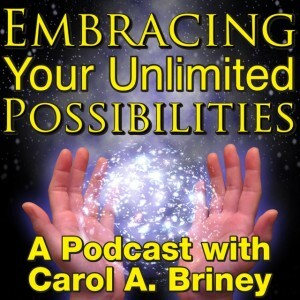 In today’s episode of the Embracing Your Unlimited Possibilities Show; Inspirational Speaker, Metaphysical Teacher, Author, Podcast Host, and The CEO of Unlimited Possibilities at Carol A. Briney International talks about How We Learn From Contrast In Our Lives. Simply Go CarolABriney.com and Subscribe. The cost of the newsletter is free. The benefits to you are priceless!